Punta Secca, an outlying hamlet of Santa Croce Camerina, lies east of the many characteristic coves and rises that punctuate the local coastline. Inhabited by a sprinkling of fishermen and shepherds since the distant days of antiquity, it was an offshoot from the ancient city of Kamarina, which it outlived, albeit in no great style. The sandbanks and rocks still visible in the bay proved treacherous for merchant and military shipping. From time to time the jealous depths give up their wrecks with amphoras, statues, coins, etc., to the great interest of scuba divers and antiquarians –not least, the custodian of Kamarina Museum. Near here, the Byzantine general Belisarius mustered his forces to flush out the last remaining Goths from the Maltese archipelago; later, the Normans under King Roger I of Sicily weighed anchor to oust the Saracens from still-occupied areas. 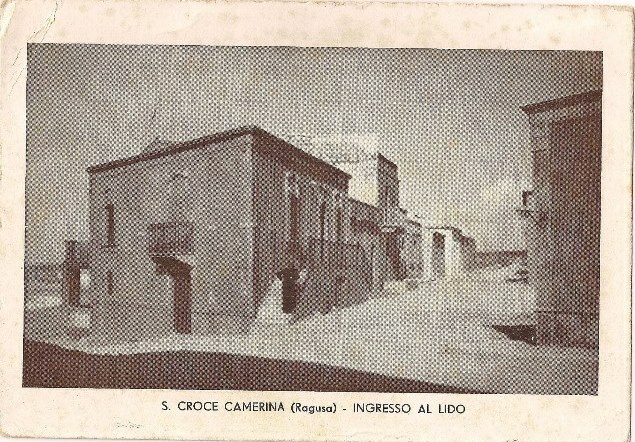 After several centuries of disuse, the village and its surrounding territory with the nearby hamlet of Santa Croce passed eventually into the hands of the Celestri, a noble family with lands around Modica. They began to colonise it, building a little church, acamperia (a warehouse for storing tuna, salted fish, vats and ovens), watchtowers and other defences. Linked by road to Santa Croce and given its own navigation beacon in 1853, Punta Secca continued to develop, as the agricultural economy expanded. New warehouses arose, the first holiday homes were built, and Neapolitan sardine and coral fishermen arrived to exploit the bounty of the sea. During the Great War, in one of the many caves peppering the coastline, one “Ernesto” took refuge, ostensibly as a hermit but, in reality, to spy for Austria. In July 1943, Punta Secca and nearby Punta Braccetto were the landing ground for contingents of the American 7th Army. The village, along with Casuzze, Caucana and Punta Braccetto, developed apace after World War II. As growing affluence in recent decades has made it fashionable to have a holiday home by the sea, hundreds of villas, houses, bars and campsites have sprung up, while the authorities have renewed and modernised the various public services. The little old church, the lighthouse, the piazzas and the massive, still-imposing towers, the silvery expanse of the farmers’ greenhouses, Montalbano’s fine house staring over a magnificent, infinitely blue sea, and the old harbour now make Punta Secca one of the most sought-after localities in this fine old isle of Trinacria.